Sometimes you want to add a personal touch to a windows shortcut by changing it’s icon. Perhaps the icon just doesn’t fit, and you would rather have an icon that more closely matches the respective shortcut. Sometimes you are just tired of those boring folders. This process works for both Windows 7 and 8.X. Single icons are often stored in an .ico file. You can create a custom icon using a 3rd party program. 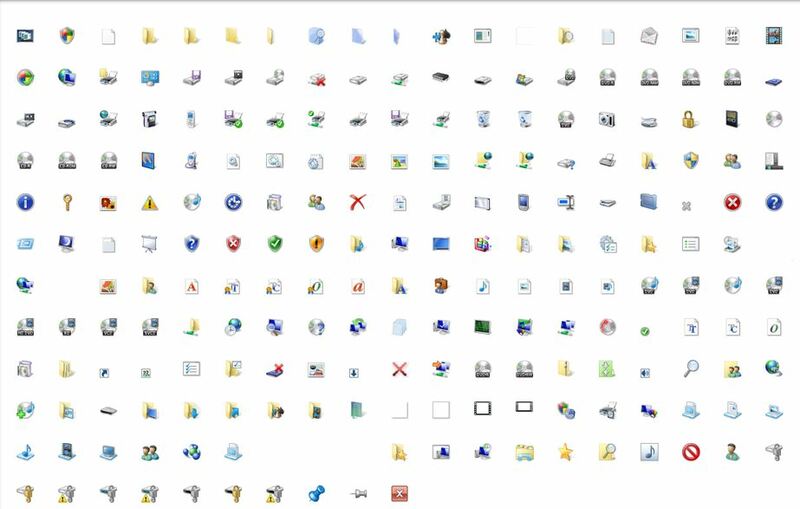 There are free programs you can use to create your own icons, but if you want to make a quick change, Windows has an array of icons ready for you to choose from. These icons are stored in .exe or .dll files. These were intended for use by Windows, but the icons contained in these files can be assigned to any of your shortcuts. Ok Lets Make the Change! Select the shortcut that you wish to change it’s icon. Right click or select properties. Select the Shortcut tab and press the Change Icon button. Windows may select a file for you to use to choose an icon from, but if not, or if you want to choose a different file, simply edit the “Look for icons in this file:” to one of the ones listed above. 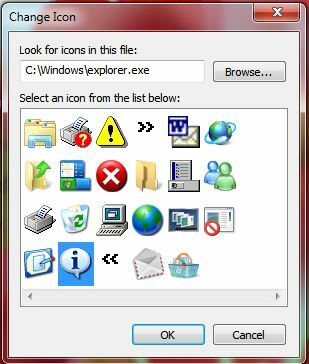 Once you have selected a valid file, Windows will present you with a list of icons that are embedded into the file selected. Select the icon you wish to use and select “OK”. To confirm the icon change, click Apply and then OK once again, and the icon has been changed! The process to change The Icon Of A Website shortcut is the same, except that you will need to manually select a file that contains the icons from which to choose. Want to Make Your Own Icon? There are many excellent Icon Editing programs available on the market. 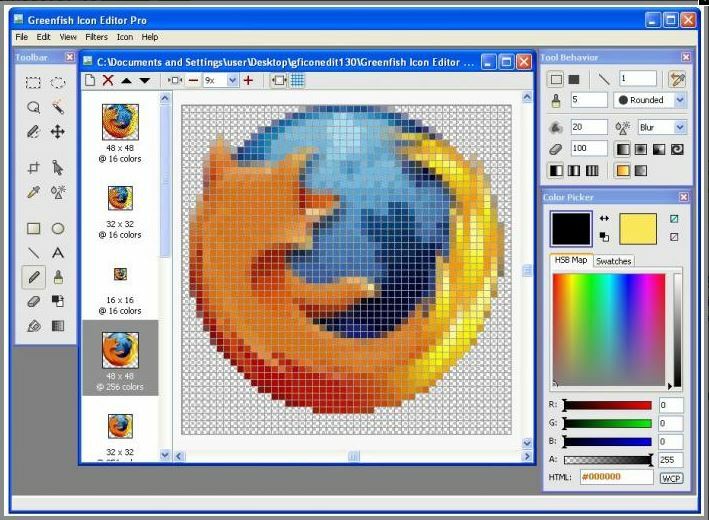 For most users the free “Greenfish icon Editor Pro” software and is more than you need! You are only limited by your creativity. With this software you can create an icon based on your favorite photo. This is a professional tool to create and edit icons for your system. You can use it to design icons for your own programs or edit the ones already featured in any application. You’ll have access to a wide variety of drawing tools and special filters to spice your icons up. Plus, the program is really easy to use and supports keyboard shortcuts, drag-and-dropping files and other goodies. You’ll only need to arrange the different windowed menus on the interface, and you’re ready to start working on your icons. Have some fun, change those icons to customize your desktop!